Cobourg Reiki Master Susan Rouse: Reiki, Animal Reiki, Therapeutic Touch and courses in the Cobourg Ontario area. Explore this site to see how natural healing energy can restore balance to the physical and emotional life force energy of people, pets and animals. Cedar Cove Wellness is situated on 3 acres in a tranquil rural setting in the beautiful Cobourg, Ontario area. With nature, wildlife, birds and a stream that winds through the property; it is very easy to become relaxed and experience universal healing energy. We offer energy healing for people and pets in person or via distance (absent healing).
" I recently took Cedar Cove Wellness's Reiki 1 course (First Degree Reiki) and I was so pleased by my experience. The setting was beautiful and calming, with a warm and engaging environment to learn in. 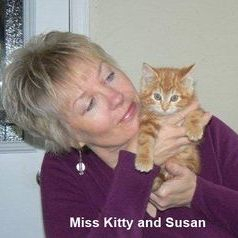 Susan is a wonderful, caring instructor who is fun and informative. She teaches this ancient wellness technique in a way that honors the intent and raises the bar for instruction and comprehension for the student. I highly recommend this class, and I am looking forward to taking the next level with Susan when I am ready. Gerri Bird, Colborne, ON"
Susan Rouse is an active member of the Canadian Reiki Association, Kundalini Reiki Center and International Center for Reiki Training. Disclaimer: The content on this website is for informational and educational purposes. Reiki,Therapeutic Touch, Axiatonal Alignment and the Black Pearl technique are not a substitute for any medical treatment or advice.